CNN informally declared war on the Internet and the whole World Wide Web turned against it, the head moderator of /r/The_Donald subreddit, where the clip that triggered the #CNNBlackmail scandal was originally posted, told RT in an exclusive interview. No one should be surprised by the fact that “CNN is suppressing a private citizen’s right of free speech,” he said. The man is a moderator of “The_Donald” Subreddit, where the viral clip, showing US President Donald Trump wrestling a man with the CNN logo for a head, was originally posted and then deleted by its creator. The scandal started after the news network tracked down the alleged meme maker and threatened to disclose his identity if they post such “offensive” content again. The moderator believes that such actions against freedom of speech cannot end up without consequences. “CNN has all of the Internet against them right now, and when organizations attack freedom of speech, it never ends up well for them,” he told RT. 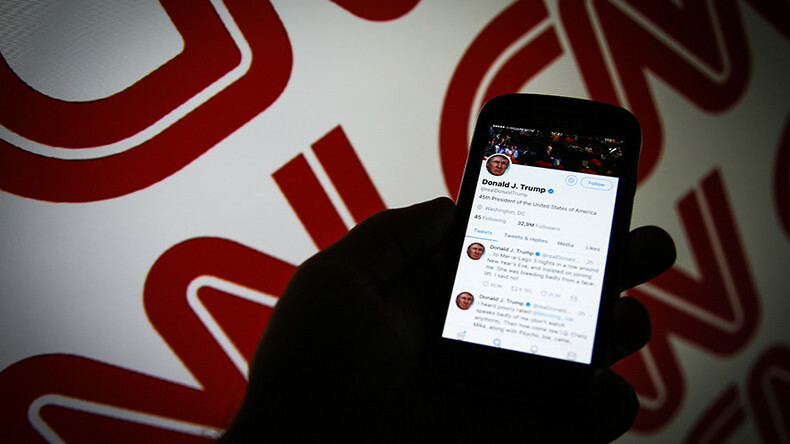 While CNN says it respects the privacy of the man behind the viral meme, the network said that it “reserves the right to publish his identity should any of that change,” which is understood as “complete threat,” ‘PrinceCamelton’ said in the interview. This message was received by the whole community, the moderator said, referring to the threat. The moderator also said that he would be frightened if he were the Reddit user who posted the clip. 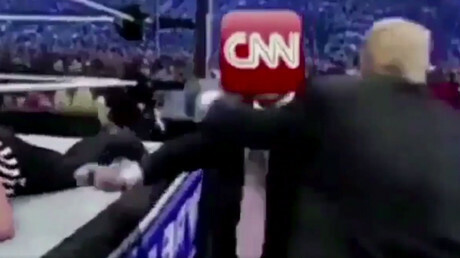 CNN’s move has triggered outrage among the Internet users, resulting in many more mocking memes and videos. “There are hundreds of other gifs just like that, there are subreddits that are dedicated just to making CNN gifs now,” /r/The_Donald moderator said. “What CNN did was unfortunate for them,” US President Donald Trump said, referring to the scandal during his visit to Poland on Thursday.